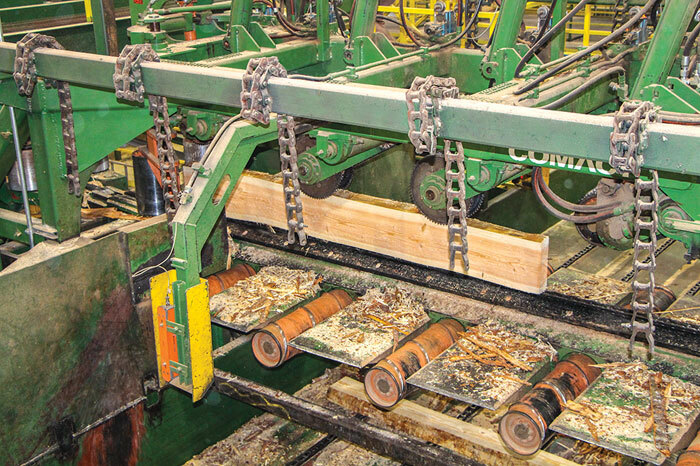 The October 2018 issue of Timber Processing magazine features Shelton, Washington’s Sierra Pacific Industries sawmill, the company’s newest, that is a model of compact throughput and efficiency. Also featured is Hulett, Wyoming’s Neiman Enterprises Inc., a family-owned company that has experienced significant growth. 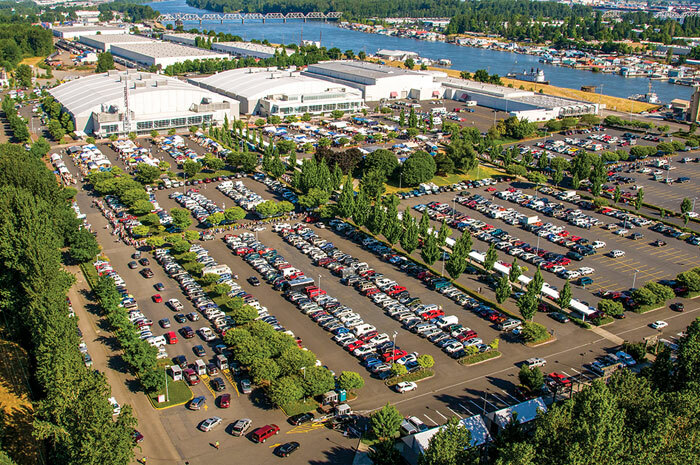 A special section offers a full preview of the 2018 Timber Processing & Energy Expo, set for October 17-19 in Portland, Oregon. Other articles cover the latest industry news, new projects and new products and technology. Timber Processing magazine Managing Editor Dan Shell travels to Shelton, Washington to visit Sierra Pacific Industries newest sawmill. 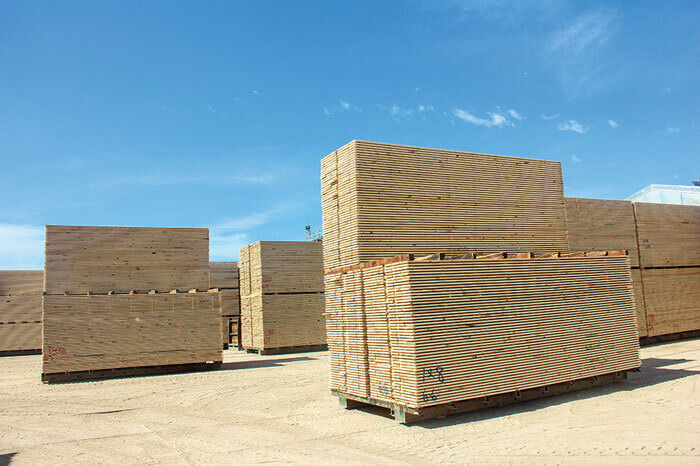 Expanding the company’s presence and footprint in Washington, Sierra-Pacific Industries’ (SPI) newest sawmill here is built for high volume and high quality lumber produced in a dual line configuration that’s essentially two stud mills in one, operating side-by-side. Mill officials say the facility should produce up to 500MMBF annually. The mill sawed its first log in December 2016 on a transformed site where Simpson Timber had operated a sawmill more than 100 years before SPI bought it in July 2015. 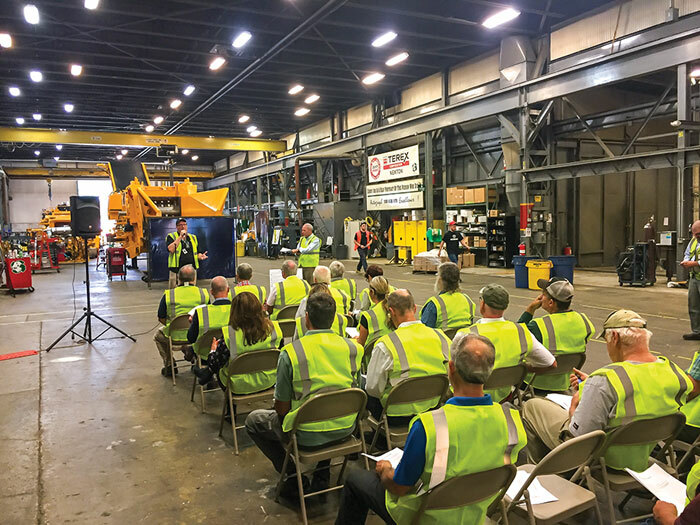 Since then, SPI completely remade the site as it built a new sawmill, converting what was once a sprawling multi-building facility into one large mill building, one shop building, 10 kilns—and a really big log yard. Timber Processing magazine Associate Editor Jay Donnell has the opportunity to visit Neiman Enterprises Inc. in Hulett, Wyoming. Even in good markets, sawmills must continually fine-tune their equipment, and for Neiman Enterprises Inc. COO Tom Shaffer the task is even more involved as he bounces between three “North Mills” as Shaffer refers to them, in the vicinity of the Black Hills National Forest in South Dakota and Wyoming. 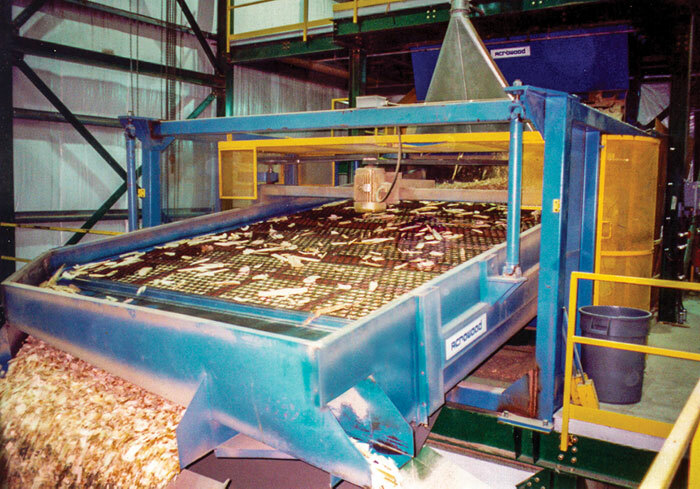 Oh yes, and Shaffer has to dip now and then down to yet another Neiman sawmill, this one in Montrose, Colo. When Shaffer came on board in 1995, the Neiman family owned just a single mill in Hulett, Wyo., known as Devils Tower Forest Products, which is the site of company headquarters. 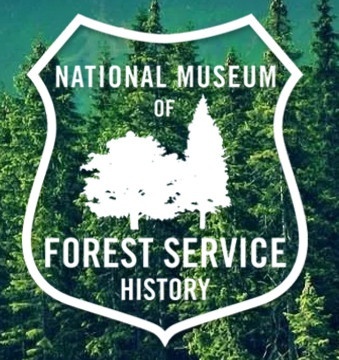 In 1998, the company acquired Rushmore Forest Products in Hill City, SD, and 10 years later the Neimans purchased Spearfish Forest Products in Spearfish, SD along with Heartland Pellets. If combing the aisles amid 200 equipment exhibitors and 60,000 SF of booth space at the upcoming TP&EE still leaves you wanting more, for a small fee you can sign up for the Mass Timber, Engineered Wood Products and Plywood Workshop to be held Wednesday, October 17, the first day of TP&EE, and/or the Lumber Manufacturing Workshop to be held Thursday, October 18. Each workshop costs only $75. The Mass Timber and CLT (cross-laminated timber) movement is well under way in North America with a few mills in operation, a few others under construction, and some in the planning stage. The workshop will be divided into morning and afternoon sessions, with the morning session focusing on mass timber and CLT, and the afternoon session on veneer and plywood manufacturing. The following companies are advertising in this issue of Timber Processing magazine and also exhibiting at the Timber Processing & Energy Expo to be held October 17-19 at the Portland Expo Center in Portland, Oregon: Acrowood, American Wood Dryers, Arrow Speed Controls, Autolog, BEP Engineering Services, BID Group, Brunette Machinery Company, Brunner-Hildebrand, Carbotech, Climax Metal Products, Colonial Saw, Cooper Machine, Delta Computer Systems, EBI, FinScan, GF Smith Company, Gilbert Products, S. Huot, Itipack Systems, JoeScan, John King Chains, Kadant Carmanah Design, LINCK, LMI Technologies, Lucidyne Technologies, McDonough Manufacturing, MINDA, Muhlbock, Murray Latta Progressive Machine, Nicholson Manufacturing, Oleson Saw Technology, Opticom Technologies, Optimil, Peerless Saw, Piche, Precision Husky, Rawlings Manufacturing, REA JET, Royal WestCoast Cylinders, Samuel Coding & Labeling, Samual Packaging, Saw+ADD, Saw Control Systems, Sharp Tool, Signode, Springer Microtec, Taylor Machine Works, Telco Sensors, Timber Automation, Timber Machine Technologies, TS Manufacturing, Valutec, Vollmer, Wagner Meters, West Coast Industrial Systems, Williams & White, Wolftek Industries, Wood-Mizer, Woodtech Measurement Systems, Z-Tec Automation Systems, HALCO, Linden, West Salem Machinery, Simonds International/Burton Saw, Metal Detectors Inc. (MDI), Salem Equipment, and Valon Kone.